Today I wanted to share a few things I have been reading and thinking about! Do you have an interest in autism? I have really enjoyed reading montessori4autism. It is such a positive site packed full of information on ASD and Montessori. I've been looking for an example like this! An advanced practical life exercise where the child completes the baking process independently with a small oven, you can see this entire process at A Montessori Musing Place. Also at Crumb Bums (I know, I might be a little obsessed) you can see some of the Montessori inspired boys' home spaces here. So gorgeous and love their creative use of plants throughout the home. I am also loving Swiss Lark where both parents (and a grandparent!) are Montessori trained. Loved reading this article about cooking with kids (all Montessori related posts can be found here). And isn't this a cute, child friendly, entry away above! 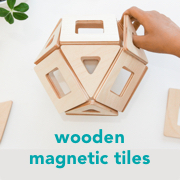 A fairly new to me blog Montessori from the Heart. 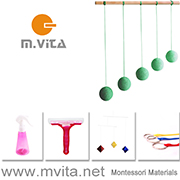 Anya's site contains lots of useful ideas and activities, her most recent post Montessori Infant Mobiles gives a thorough explanation and examples of Montessori mobiles. What does Susan do when the grandchildren come to visit? I loved this peek into Susan's (Susan Stephenson from Michael Olaf and The Joyful Child) family life. Ending today with a quote from Maria Montessori in Education and Peace: "The child is capable of developing and giving us tangible proof of the possibility of a better humanity. He has shown us the true process of construction of the human being. We have seen children totally change as they acquire a love for things and as their sense of order, discipline, and self-control develops within them.... The child is both a hope and a promise for mankind."